Below are some shots from Alcohol Infusions site discussed on this episode. If you need some ideas click on over. This page is dedicated to upping your spirit game and crafting some of the best classic and nouveau cocktails. Not only are the pics outstanding, the recommendations and kits are simple enough for the novice. This absinthe infusing kit from Bootleg Botanicals is a great starting point if you want to infuse your own absinthe. Just like Gin, Absinthe is a grain neutral spirit that is infused with herbs, spices, roots and seeds. There are many variations however buying a kit helps get your started. Sunshine liked this final product and has enjoyed drinking it in the classic style as well as in Sazerac cocktails. Kalani, Starshine and the kids were able to visit the new Bamboo Club in Long Beach, CA just a week after it opened. 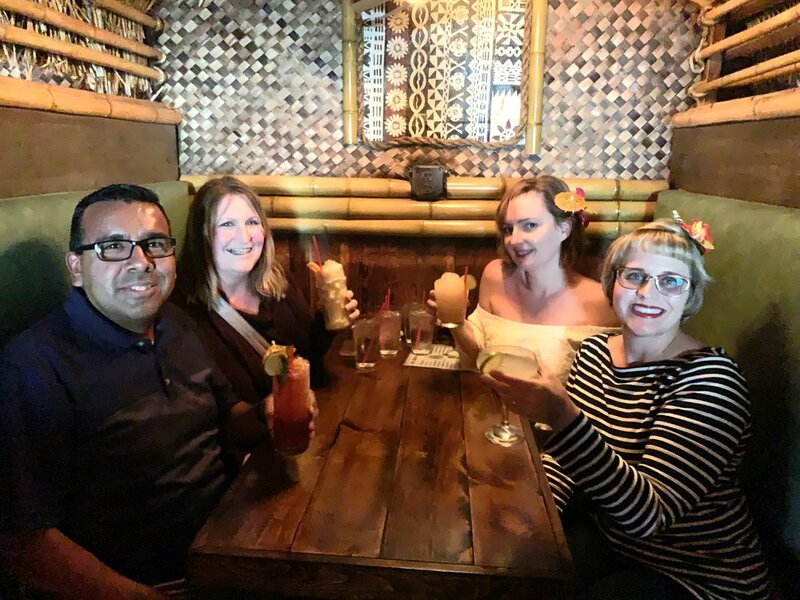 This new tiki establishment in the Southern California region was decked out by Bamboo Ben and offers a drink menu with the usual tiki drink suspects plus some of their own concoctions. Listen to the show for more detail on the hits and misses from the ladies of the lounge.